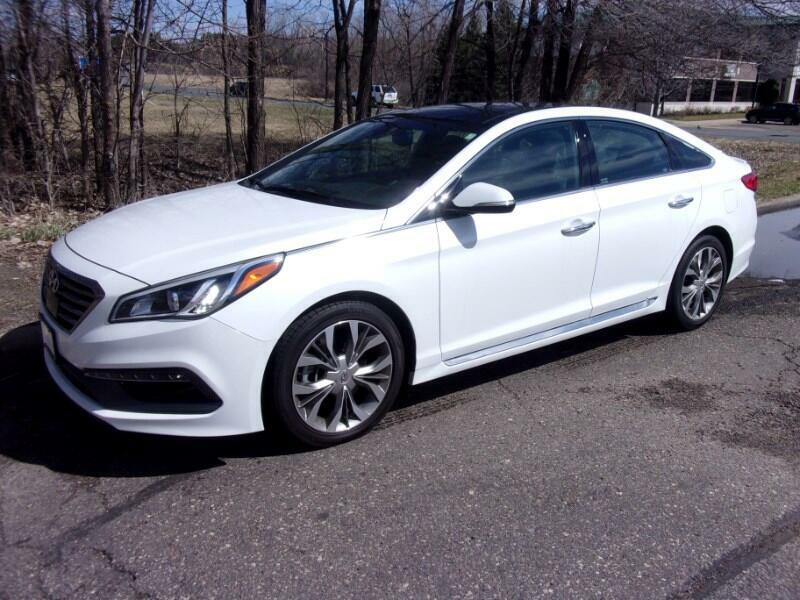 Used 2015 Hyundai Sonata Sport 2.0T for Sale in Vadnais Heights MN 55110 Integrity Autosource Inc.
BUMPER TO BUMPER WARRANTY AND LOADED, LOADED, LOADED!! CARFAX CERTIFIED ACCIDENT FREE ONE OWNER HISTORY! COMES WITH FACTORY BUMPER TO BUMPER WARRANTY FOR ALMOST TWO MORE YEARS. MECHANICALLY INSPECTED AND UP TO DATE ON MAINTENANCE INCLUDING BRAND NEW TIRES. TOO MUCH EQUIPMENT TO LIST HERE BUT THE HI-LIGHTS INCLUDE PANORAMIC SUNROOF, BACK UP CAMERA, BLIND SPOT MONITOR, HEATED AND COOLED FRONT SEATS, NAVIGATION, LANE DEPARTURE WARNING AND MORE. WE TAKE TRADES AND HAVE GREAT FINANCING TOO. IN BUSINESS IN THE SAME LOCATION FOR OVER 23 YEARS. MORE PICTURES COMING WHEN THE CAR ARRIVES WEDNESDAY.